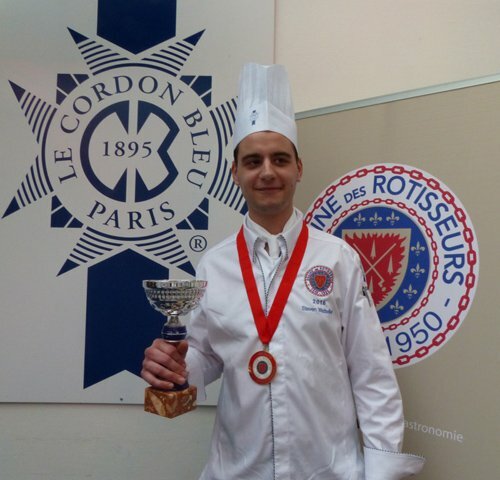 The national final of the Jeune Chef Rôtisseur Competition, organized by the Chaîne des Rôtisseurs and chaired by the chef Guillaume Gomez took place on Saturday March 19 2016 at Le Cordon Bleu Paris institute. This competition is a real springboard for up and coming Chefs. A stepping stone to reach the hotly contested international final that will take place in Manchester, in the United Kingdom, on September 30, 2016. Just as in past competitions, the contestants has gone head to head as they made three dishes on the theme of Bretagne: a starter, a main course and a dessert in the space of four hours. Éric Briffard, One of the Best Craftsmen in France (Un des Meilleurs Ouvriers de France - MOF), Le Cordon Bleu Executive Chef and Culinary Arts Director, and winner of this very same competition in 1981; Le Cordon Bleu Paris Chef Kaye Baudinette and Le Cordon Bleu Paris Chef Instructor Franck Poupard, will be members of the tasting and technical jury along with other prestigious personalities from the world of gastronomy. It was in 1248, under the reign of Saint-Louis, that the Corporation des Rôtisseurs was founded. The rôtisseurs had the privilege of being allowed to roast geese. From 1950, the Corporation des Rôtisseurs was restructured, becoming the Confrérie de La Chaîne de Rôtisseurs that we know today. It has developed throughout the world ever since and today counts more than 30 000 members around the globe. 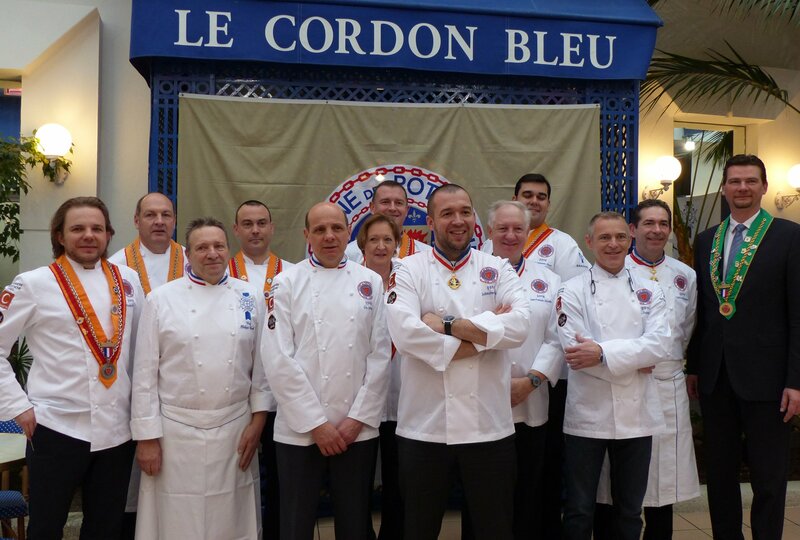 Le Cordon Bleu has been a member of this organisation for more than 25 years. It organizes the national finals of the Jeune Chef Rôtisseur competitions in its institutes around the world and awards a substantial scholarship to the winner of the International Competition.